Hey everyone! It's been a while since I did any rose nails (in fact it's been well over a year as I just discovered from scrolling through my Instagram) but I actually have a couple of rose designs to show you over the next couple of weeks, and I'm hoping to have a third soon enough as well. I hadn't realised that it had been so long since I did any, especially as they're so cute and easy to create. I always love to combine roses with polka dots too, I think they go well together and the polka dots really make the roses stand out. 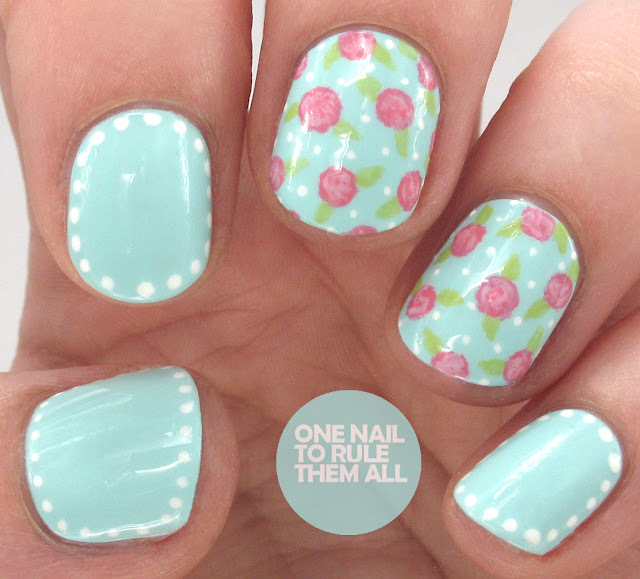 I didn't want to add roses to all my nails and I found they were looking a bit plain once I'd finished so I added polka dots around the edge of my other nails and it was just what was needed to finish off the design. I used OPI - Gelato On My Mind* from OPI's Venice collection as my base, and then I used Barry M - Miami, and Barry M - Fondant for the roses. 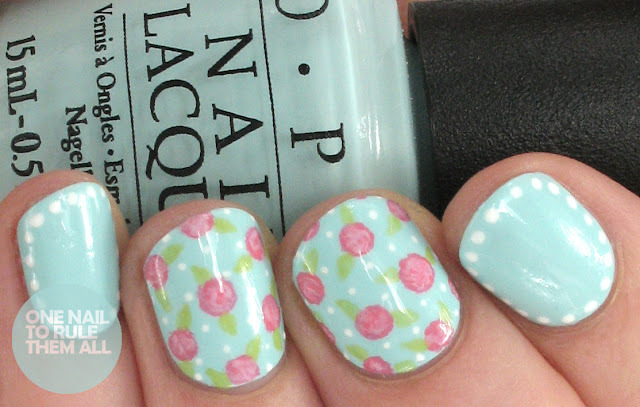 For the leaves I used Mavala - Pistachio and I used Barry M - Cotton for the polka dots. Then I finished off with a coat of Seche Vite.